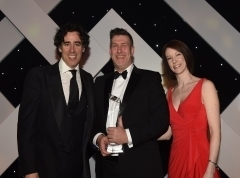 Matt Turner, Creative Pod, "I am delighted to win such a prestigious award. 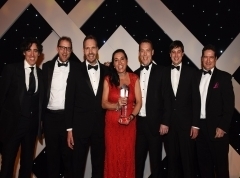 It has been a sensational 12 months, this award is the icing on the cake and adds further credibility to a company that is growing and doing some very exciting things." Jason Holt, Head of Gatwick for easyJet, commented: "easyJet is a big business at Gatwick Airport but it is run by a small, dedicated team. So on behalf of everyone working for easyJet at Gatwick I would like to thank the Gatwick Diamond Business Awards for recognising our achievements. Everyone is absolutely delighted to have won this award. The team work around the clock to provide the millions of passengers choosing to fly with us from Gatwick with the very best experience and we look forward to welcoming more than 14m passengers this year and continuing to working with our partners in the community." 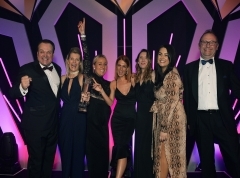 Beck Morgan, Director, Bloc Hotels "The BLOC hotels team are very pleased and honoured to receive the 'Gatwick Diamond New Business of the year Award 2013.' We intend to deliver a faultless service and product, and be in a position to be considered for 'Business of the Year Award 2015'"
TDG's Director, Andrew Golding said "We've been one of the most established London creative agencies outside London since 1989 but we've never really focused on the local market. We didn't realize quite what a big deal this was until some of our guys attended the Awards – it's a serious business group. Winning this award has rekindled our interest in the local market and I suppose I can see our role in helping the larger local business achieve more... It's a kind of social responsibility marketing piece! Seriously, it's nice to be recognised for the hard and smart work our fantastic teams of creative, digital and planning people do. It's a real credit to them as are our spate of national creative & marketing awards including 2 Fresh Awards for Best Campaign. I would like to thank the sponsors AVT Connect for actually looking beyond the superficial and being so professional and thorough when judging this category. It proves awards can't always be bought!" 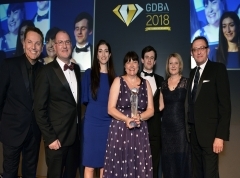 Sheila Hall, Business Development Manager for Clear Computing Ltd commented, "We are extremely proud to receive recognition with Gatwick Diamond's award for Corporate Responsibility. "Clear Computing has always endeavoured to act in a positive way carrying out the provision of high class IT solutions as well as being of great benefit to the community and charitable causes." 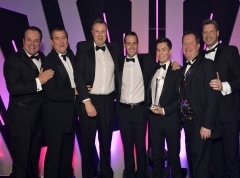 Paul Foxcroft, Managing Director, Assurity Consulting commented, "Achieving recognition as an organisation with award winning customer service is fantastic. 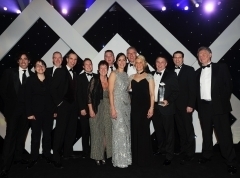 It is a superb achievement and all the employees at Assurity Consulting are extremely proud of the award". 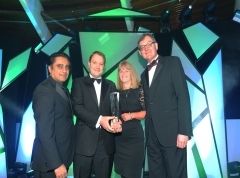 Brett North, Marketing Director Oncology said "The Gatwick Diamond Awards are wonderful recognition for our UK operations here in Crawley. To be short listed is an honour. But to win two awards is way beyond our expectations. Even though we are a global company, to be recognised amongst our peers in the vibrant Gatwick region is a great feeling. "Innovation and Technology represent the cornerstone of our UK operations. That's why the award is so gratefully received." Michael Easton, HR Director, Elekta "Many Elekta staff enjoy a pivotal role in maintaining the pace of innovation that continues to power our growth. That's why the Developing People for Business Success and the Award is especially important. We work hard to develop our staff and become renowned as an employer of choice for ambitious, skilled and innovative people. The Gatwick Diamond Awards success reflects positively on our culture and determination to bring out the best in all who work for us." 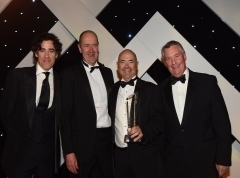 Michael Jenkins, Chief Executive at RoffeyPark said "I am delighted that RoffeyPark has received this recognition from the Gatwick business community. We took a bold decision to expand our operations in Asia Pacific and have gone through, and continue to go through, a learning curve that has been stupendous for staff and associates at RoffeyPark. They have responded with vigour and passion, and every one of them has had a hand in our success. I'm thrilled that this award recognises this achievement." 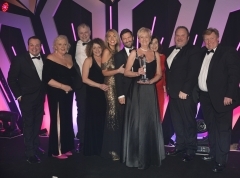 "We are delighted to have won the award for Employer of the Year, the team here are the heart and soul of our business and I know how much this will mean to them to get this recognition. It was a real honour given the standard of company we were up against in this category" explains ILG Managing Director, Mike Stephenson. "We set out a vision and strategy for real improvement in this area 18 months ago. 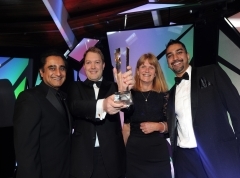 This award is another step towards realising that vision and will hopefully reinforce locally what we have always believed, that ILG is a great company to be a part of." Matthew Callard, GM of Alexander House Hotel & Utopia Spa said "It's marvellous that Alexander House Hotel has won the Best Destination Award. "It is a weighty recognition for all the hard work and passion every member of our team makes to ensure our guests have the happiest of times and a wonderful reinforcement when choosing a luxury and relaxing destination in this amazing area." 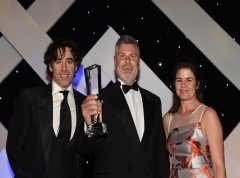 asb law LLP Managing Partner, Andrew Clinton was delighted to accept the award: "The quality and scale of the professional services sector in the Gatwick area is significant, and is a key factor in both the development and potential of the region. 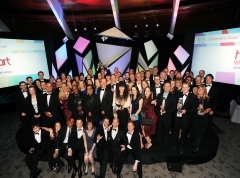 The entire firm contributed to this, and we're very proud of our achievement." "I am delighted and proud that Green Mop has won this prestigious award against some exceptional competition. A huge thanks to the sponsors and the organisers. Our success is down to the hard work of the whole Green Mop team, and the support of our customers. We are all thrilled at this achievement!" Councillor Ros Mill, Executive Member for Strong Communities, said: "We are very proud of our Young Workers Scheme and how it is changing people's lives. We are overjoyed to receive this award. "During these tough financial times, it's crucial that we create the job opportunities that so many young people are desperately seeking. Whilst other public sector organisations are making cuts, Reigate & Banstead is investing in helping young people to succeed." Perry Northeast of the Sports Department at the University of Chichester said "I'm delighted for the whole team that our work has been recognised in this way. The University of Chichester has a strong sports heritage and this programme reflects that across all departments. Through that team the number of health initiatives we offer and staff take up has increased every year." Brian McKee said "Delighted to have won. We see this as a stepping stone to the future. We have invested heavily in difficult times and this is a reward for that investment and the hard work." 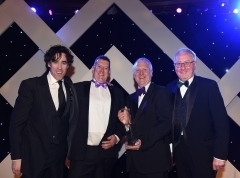 Gary Lucas of Kissingate Brewery said "We are delighted to have received such a prestigious Award. It is indeed a motivational boost during tough trading conditions within our business sector. We will continue to share in the entrepreneurial energy shown by the business community within the Gatwick Diamond." Fiona Martin of Martin Searle Solicitors said "We are a campaigning law firm which strives to eradicate discrimination in the workplace and to make a difference for both employers and employees. Whereas traditional PR, used in previous campaigns, resulted in local awareness of what we do, digital media enables us to have a national reach resulting in new clients from all over the UK as well as in Sussex. We are absolutely thrilled to receive this award and thank all our partners, particularly Same Sky who made our 12 foot pregnant woman, Joy, as the visual focus of our campaign." 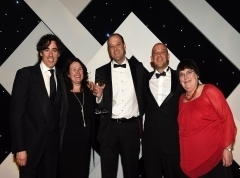 Chris Wilsher, Client Relationship Manager said: "We are thrilled to have won the Customer Delight category. This award highlights our commitment to developing refreshing client relationships through transparent feedback. The whole firm has embraced our client feedback process and we will continue to collaborate with both clients and our people to drive the way we work and ensure our clients continue to enjoy the very best in client service." Gerry Thurgood, Chairman of Tetreon Technologies said "Manufacturing and export are key to our growth. The major challenge for a UK company exporting to the international market is its high quality products and leading edge technologies and with the supporting local infrastructure, we are able to provide the engineering resources to a high standard, with on time delivery, at a competitive price. Being a relatively small but significant company with 90% of its products being exported, it is wonderful to know that the Company is recognised for its participation in the UK economy, especially in the manufacturing sector. This recognition was a wonderful accolade and allows our company to give our customers, employees and local suppliers a positive sign as to our value in this highly competitive market place." 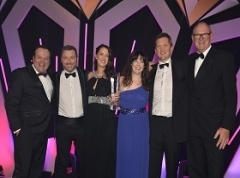 Paul Roe, Partner at Reeves and based in the Gatwick office, commented on accepting the award; "I'm delighted to have received this recognition. The skills and aspirations of our staff are the very core of our business and service offering. The fact that the finalists are all known for excellence in this field, makes this feel even better." Ernest Waaser, Systagenix CEO, said: "Within our business environment, Systagenix has set a very clear vision: to develop and market advanced diagnostic and therapeutic systems that enable clinicians to heal every wound predictably and cost effectively. Bringing WOUNDCHEK™ Protease Status to the market – the first point of care diagnostics in wound care - is a huge achievement for Systagenix, and a long awaited innovation milestone in the wound care field, where chronic wounds may not heal for months or even years and where diagnostics has notoriously lacked. 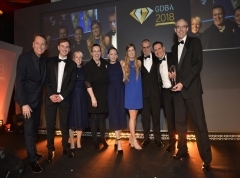 Winning the Gatwick Diamond Business Awards for Innovation and Technology helps us celebrate our revolutionary launch and our contribution to the world of wound care". Kelly Bateman said "Winning this award has been a highlight of my year so far! I'm thrilled that the positive impact of my work to put G4S's Climate Action Programme into action at our corporate HQ has not gone unnoticed. I've had some challenges along the way, but it has definitely been worth it. Since 2009, we've achieved a reduction of 18% in the average consumption of energy per employee at G4S plc's head office. There is plenty more to do. Over the next year I'm aiming to introduce further green initiatives and reduce our energy consumption even further!" Councillor Bob Lanzer, Leader of Crawley Borough Council, said "The winner of this award has made outstanding efforts to operate in an environmentally friendly way from day one, by reusing and recycling every material possible using innovative methods, buying local second hand office equipment and furniture, going paper-less, and reducing energy and water use. 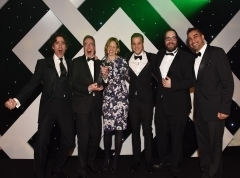 "Not only does the winner exhibit best overall environmental management, but they also provide an excellent eco-service which not only improves but also influences the environmental performance of other businesses in the Gatwick Diamond. 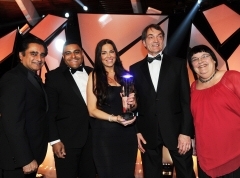 The Green Business of the Year 2012 is a shining example of how being green makes good business sense." recognise our green policy and the impact is has and that maybe our methods could influence other businesses in the Gatwick Diamond network." David Connell . General Manager . 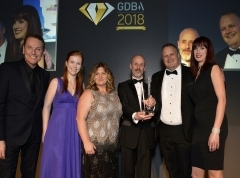 South Lodge Hotel, "We are delighted to have won the Gatwick Diamond Business Award for Place to Meet as this is a fundamental part of our business and it provides great recognition for the hard work and dedication that the team at South Lodge have shown on a consistent basis for many years. 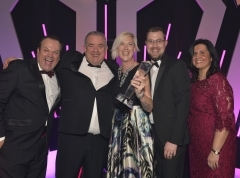 We are continually investing in the quality of the product and always looking for ways to innovate the magnificent meeting spaces that we have but all of this means nothing without having a dedicated customer focussed team that deliver the highest standards of guest care and this award is testament to that." 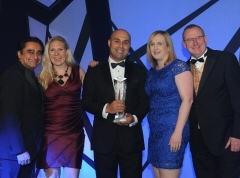 Presenting the Award, Russell Fernandes of NatWest, said "B&CE is a growing and successful business which is evident through the increase in staff levels, doubling in two years. "The business has a high profile in the local community and is well engaged in the economy of the Gatwick Diamond." 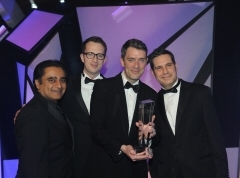 Patrick Heath-Lay, Chief Executive Officer of B&CE, said: "We are really proud to have won this award. We were commended for our rapid growth in recent times, having high levels of customer satisfaction, and for having strong values at the heart of everything we do. "This award reflects the hard work and commitment of our staff. It is them who make B&CE what it is, and they should be proud of their work. We are still growing fast and looking for talented people to join our team, so visit our website or get in touch." Penina Shepherd, MD of ACUMEN Business Law, said "Keith Pordum has led his business to be the premier player in its industry, combining it with an increasing contribution to the local business community through chairmanships and directorships of many local non-for-profit organisations over many years." 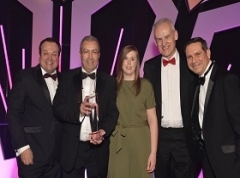 Keith Pordum told us "I was delighted to receive this award in recognition of my team's work in making Bon Appetit the leading hot food vending business in the UK (www.hotfoodvending.com). We are passionate about making healthy, tasty hot food available 24/7 through our automated catering service." Julie Kapsalis, Vice-Principal of Chichester College, presented the Award "RocketMill showed great attention to detail and included reams of supporting evidence. "The judges were given full access to the whole team and left in no doubt that this is an organisation that understands and leads in the field of Digital Marketing. "Both judges were highly impressed after this visit. It was clear to them both that they had just visited an outstanding organisation that is absolutely at the top of its game." 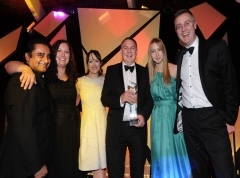 Sam Garrity of RocketMill said "We are delighted to have won this award. It means a lot to receive such public recognition for the hard work our team put into campaigns. I would like to thank Chichester College for their sponsorship and judgement of the award, our clients for their continued trust, and our team for making such a success of their work." Trish Breach, MD of Search said "1ST CENTRAL has staff that are well aware of the Company values through internal communications, surveys, feedback and an openness to ideas. "The winner is very focused on the health & wellbeing of their staff and run a Health Awareness day once a year. There is an Employee Assistance Programme for all staff while corporate rates are in place at local gyms. "There is a "Learning at Work" week which saw 20 various activities being offered to all staff throughout the week ranging from Zumba classes to learning Spanish. "The programmes and practices which they have in place are clearly aligned to their business strategies and employees and are executed effectively." 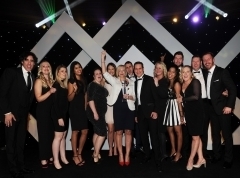 Andy James, UK CEO of 1ST CENTRAL said, "We're honoured to have been selected as Employer of the Year for the second year running. At 1ST CENTRAL we know that placing our employees at the heart of our business is the best way to improve performance, which is why we have invested so much time and effort in providing them with a positive and stimulating working environment as well as access to a wide variety of training programmes. Councillor Colin Lloyd of Crawley Borough Council said "This companies' facilities team sees reducing energy and waste as their key challenge - and is positively gleeful in pursuing it. Their systematic approach and research pays off with real cost savings and innovation and they take a great pride in doing it. "The company really makes their environmental management system work for them, which benefits their bottom line and reduces their environmental impact. We highly recommend a chat with this team for anyone looking to raise their environmental performance and increase their (triple) bottom line." Colin Lammie, GM, said "Sony DADC are really proud to have won such a prestigious award, and it's fantastic to get the recognition for all the hard work and dedication that goes into achieving such a successful result. It's not rocket science and doesn't necessarily need big investment, but with a strong green focus combined with common sense improvements, we've delivered an outstanding environmental performance with recycling rates over 99%, energy usage down over 25% and a great boost to the bottom line. 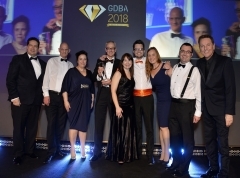 "We believe that just about every business can benefit from our approach and we are more than happy to share our ideas and practices with anyone in the Gatwick Diamond." 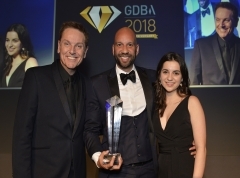 David Butcher of the Gatwick Diamond Initiative said, "Their meteoric rise in export sales due to their innovation and creativity in design has enabled this company to successfully break into an already well established and difficult to enter global market. Other contributing factors are the opening of offices abroad, the recruitment of foreign language speakers and their employment of young local engineering talent. "This is a great example of a 'Made in the Gatwick Diamond' company." 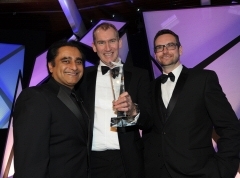 Chris Brady, MD of Acro said, "We're delighted to have won this International Business award. Everyone here has been working their socks off these past few years and we grow busier each day. We're always looking for people more able, industrious and inspired than is usual to help us grow and perhaps this award will inspire some of them to get in touch." 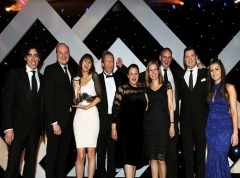 Paul Roe and Shirley Smith of Kreston Reeves said "We were looking for innovation, as well as the quality of preparation, marketing, financial planning and monitoring. "Manage your cash flow and get out there and meet people." 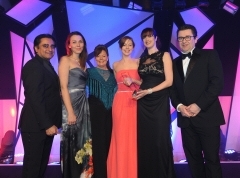 Natasha Money of Target in 1 said "We are overwhelmed and elated to have won the award for New Business of the Year 2015. We are passionate about Target in 1 Limited, our products and services and have all worked so hard. "It feels amazing to be recognised for this, especially at this early stage. We are all very excited about the future of the company"
David Rawlance of Lloyds Bank, said "This was an excellent application from a strong locally based firm. "Carpenter Box scored extremely well across the board and especially on Client Service, Industry Knowledge and Making A Difference to clients and final scoring differential was very fine. 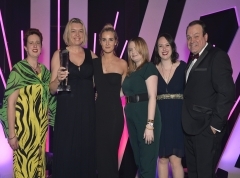 "Ultimately the innovative use of new technologies to attract a new generation of clients and the Rising Star programme were two factors that made the difference." Carpenter Box Practice Director, Chris Coopey, is understandably thrilled with the news, commenting: "We are delighted to win this very prestigious award, which is very much a recognition of the excellent and expert service our team of around 120 accountants, auditors and tax advisers delivers to our clients; they are always willing to go that extra mile. 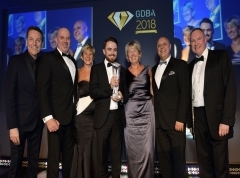 Fortuitously, this has come just as we are about to open larger offices in the Gatwick Diamond which will see us offering our award winning service to even more clients in the surrounding area." 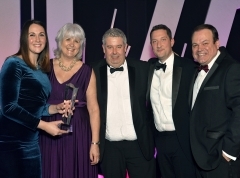 Beverley Thompson of Southern Water said "The winner is an exceptional company when it comes to its CSR offering. Despite recent economic challenges it has maintained its CSR commitment and continued to operate in a responsible and ethical way. "This top down commitment to CSR, and an ability to demonstrate its value to all concerned is exceptional – especially for a company of this size." Grant Ashley, Founder and CEO said "ILG's CSR strategy is now embedded in the organisation's culture. It has commitment at a senior level but it is our managers and staff that really deliver the strategy and we are delighted that their efforts and achievements have been recognised." 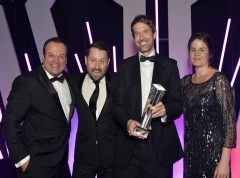 Matt Saunders, MD of Storm Creative, said "The winner of this award provided convincing evidence of an organised, successful and distinctive way of delivering customer delight, backed up with publically-visible client satisfaction levels that proved their ideas were working. An all-round impressive entry." 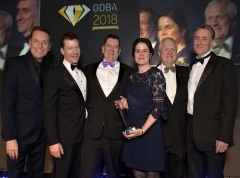 Chris Randall, chief executive at Mayo Wynne Baxter, said: "I am extremely pleased that we were chosen as the winners of the Customer Delight Award at the Gatwick Diamond Business Awards. For us, providing exceptional service to our clients is at the heart of what we do, and this recognition of our achievement in this area gives us a real sense of pride and accomplishment. 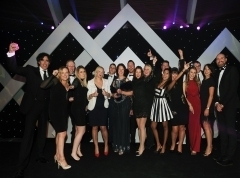 We won because of the passionate commitment of our staff to deliver the very best service to our clients, and the very positive feedback we receive as a result." Sarah Wright, Principal of Central Sussex College, said "A very impressive, broad-ranging organisational approach to learning and development which not only meets the diverse needs of the business but also focuses heavily on talent management, employee engagement, recognition and reward and corporate social responsibility. "Clear goals and objectives underpin all activities as do company vision, mission and values. "Despite the excellent approach to people development already in place, the company has ambitious plans for the coming year to develop these even further. "The enthusiasm with which the learning and development team approach the support of individuals and the organisation to achieve business success and excellence is clearly evident and infectious." 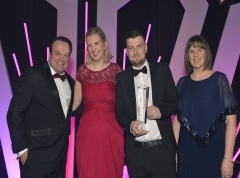 Nebel Crowhurst, Head of Learning & Development at Virgin Holidays, said "As a Virgin company, we are passionate about helping our employees reach their fullest potential and this award is a great way to showcase the things we've done to achieve that goal. We aim to continue to grow the development opportunities open to our people whist ensuring we have a direct impact on overall business success"
Tim Sadka of Rawlison Butler said "Avtura is steadily positioning themselves as the leading company in its sector. In a short space of time, they have created, through investment in research and development, a product that serves as a robust solution to a problem faced by the industry they supply. "Their products are now establishing themselves as first choice in a demanding business sector. 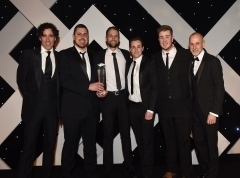 "Their success reflects a commitment to create innovative solutions to improve business practice, efficiency and safety which is why, in what has been a highly competitive category, they are deserving winners." 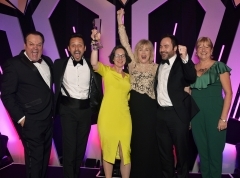 Chris Meeking, Avtura CEO, said "Winning this award is well deserved recognition of the hard work and dedication of all the Avtura team over the last 9 years; it has put a big smile on the face of every 'Avturian' – which is fantastic!" Helen Kirk-Davis of Hays said "Varian has strong values of ethical working, trust and best value were shown with supplier examples. The supply chain are managed and engaged through a wide range of techniques: monthly vendor supplier engagement, e-portal, and an annual Awards ceremony. "This company demonstrated numerous long-standing relationships – some over 20 years old and a high proportion are local. Their mentality of "closer to fewer for longer" was supported by developing multi-level relationships from Senior Executives through to swopping apprentices to gain best practice. "Varian gave numerous examples where supplier have grown with them and have been integral to the development of their products. We got the overwhelming impression that there was a passionate engagement throughout the supply chain at all levels with a product that is involved with saving people's lives." 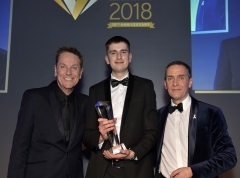 Neil Madle, Communications Director, said "This prestigious award is recognition not just for Varian but for all our suppliers, who play a vital role in helping us to produce advanced equipment that is making a huge difference in the fight against cancer. We place great value in our supply chain because we really are all in this together." Nick Broom, MD of PVL, said "This is a professional, clean and modern meeting venue providing excellent value for money. Offering a unique approach to all your meeting requirements; generous free parking and the wide range of different meeting spaces include all the facilities you will need to successfully host a professional meeting. "Socially responsible, environmentally friendly and sourcing all food locally, this business represents the quality of services offered in the Gatwick Diamond Business region." The Southcoast Conference team we delighted to win the acclaimed "Place to meet for Business" award, in recognition of our conference centre and services. The Varley Park conference centre was officially opened in 2012 and since then we feel we have achieved a lot and delighted with the ongoing excellent customer feedback we receive which is both encouraging and motivating and that's why winning this award really means a lot to all involved. Entering awards is always important to give the business a benchmark to measure ourselves and our services against our esteemed competitors as we continue to strive for improvement and achieve excellence. 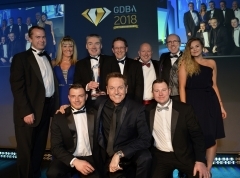 Paul McConalogue, Regional Director of NatWest said "Checkatrade.com is a family owned business operating in the Gatwick Diamond and nationally, ...A procedure is in place to replace tradesman should scores not meet the agreed standard. The company lives its values and the staff operate in an open and positive culture. Clear strategy with regard to personal health and a gym is supplied with each member of staff having at least one hour with the personal trainer per month. All members of staff were very happy to openly discuss their areas, and clearly management encourage good communication." Ian Smith, Partner in Charge of the Gatwick Office of Deloitte LLP said "One of the best kept secrets of this very commercial area, is Cubic Transportation and its major role in making Transport for London – including in particular the Oyster card system – a model for forward thinking city transport infrastructures around the world. Roger has been involved – initially as project Director - in the oyster card project from its early days. He then stepped up to take on the role of MD for the whole Cubic Transportation business in the UK and EMEA. This business has more than doubled in size in the last few years, now turning over £150m. Roger has been at the heart of this highly successful partnership with Transport for London – a demanding, high profile client. 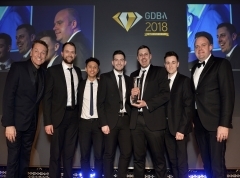 This level of innovation and delivery under intense public scrutiny is a fantastic story of a successful business here in the heart of the Gatwick Diamond." Nick Broom, MD of Preview Group said: "This entry stood out from the others by a mile even at the first review stage. We couldn't find fault at any point on any aspect of the entry; the forms, the backup, the interview, EVERYTHING was absolutely spot on. Great people, great culture, great projects." 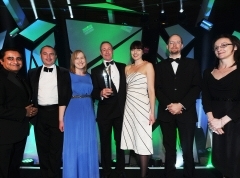 Sam Garrity, Director and co-founder of RocketMill, said "We are delighted to have won this award. It means a lot to receive such public recognition for the hard work our team put into projects and campaigns. 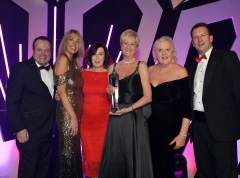 I would like to thank PVL for their sponsorship & judgement of the award, our clients for their continued trust, and our team for making such a success of their work." Trish Breach, MD of Search Consultancy said: "1st Central Insurance management is a forward thinking dynamic organisation who can evidence they have their employees at the heart of their business. Their values are embedded within their culture. Their dramatic growth has provided ample opportunities for internal/organic people and career progression. This growth has been supported by an impressive commitment to people development from formal classroom style training to an extensive coaching programme and culture. The communication channels/mediums used to communicate to their 500 employees over 4 sites are innovative/efficient and fun. The exec team care about employee engagement have implemented a number of initiatives to promote this. Employee engagement continues to be given a high priority for 2014." Andy James, CEO, at First Central Insurance Management, said: "We are honoured to have been selected as Employer of the Year. As one of the largest employers in our area, we're devoted to ensuring we create a working environment that supports people's development aspirations. Councillor Howard Bloom, Leader of Crawley Borough Council said: "Set very ambitious goals and then threw themselves into a major programme to systematically reduce energy, waste and water across their very large estate. Along the way they included an extremely innovative programme of engaging staff and their client base of more then 20,000 students to help them achieve these goals." Abigail Dombey, Environmental Manager at the University, said "The award is testament to all the hard work put in by many different people across the university over the past seven years. "Our environmental performance goes from strength to strength and is very strongly supported by senior management helping to drive forward change at a strategic level." Paul Gresham, Chairman of the Gatwick Diamond Initiative said "Hugely impressed all through. They have totally grown organically in very difficult markets. Excellent financial control. A very important business to be trading in the GD." Steve Quigley, CEO of Rainbo Supplies & Services Ltd: "I am delighted and immensely honoured that the Company has achieved this great accolade, especially as Rainbo prepares to mark its 20th anniversary later in the year. "A lot of hard work and effort has been put into this business over the last 20 years to get it to this point and I am tremendously proud of the dedication and hard work of every member of the Rainbo team who has contributed in no small way to this great achievement. 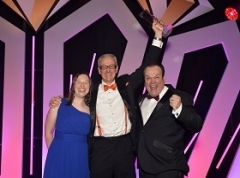 John Peel, Chairman of Coast to Capital LEP said: "The winner exhibited exceptional vision, drive, determination and ambition in starting and developing his new business venture. He identified an opportunity and successfully negotiated exclusive distribution rights and now supplies national brands and exports, through distributors, to more than 18 countries. He has overcome a number of major challenges that delayed the start and growth of the business but remained true to his vision for the business. Bola Lafe of Opus Innovations Ltd said: "Winning this award was a very special accomplishment for Opus. We have won various product-related awards, but this was the first business-related award that we entered, and won. 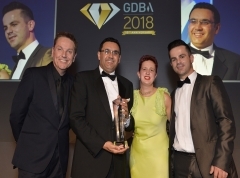 To be recognised as 'New Business of the Year 2014' within a business area as large and influential as the Gatwick Diamond was very special indeed." 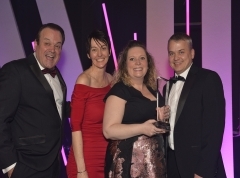 Mandy Brown, Partner at Litigation Protection said: "In deciding the winners for this award the sponsors were looking for an organisation that took professional ability almost as a 'hygiene factor' for operating in their business sector and added to it. Our winner demonstrates this in a big way with fantastic enthusiasm and a refreshing approach to a traditional area of business." 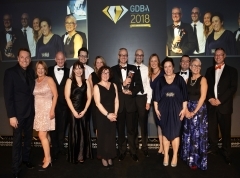 Pam Loch, MD of Loch Associates Employment Lawyers said, "We were thrilled to be awarded Professional Services Firm at the Gatwick Diamond Awards this year. "To receive such an accolade in the company of so many distinguished businesses was an honour for all at Loch Associates Employment Lawyers. Anya Ledwith, Director of environmental management consultancy ESHCon said "The judge was impressed with this business – with a clear culture of Corporate Responsibility within and throughout the company. Extensive charity work is evident both in staff fund raising activities and corporate support by the company itself. Social activities reflect the company's core business. Environmental and economic issues are also included, e.g. waste & energy management, local suppliers and an interns programme. With an adopted policy and plan, there is an embedded CR culture and value to the business." 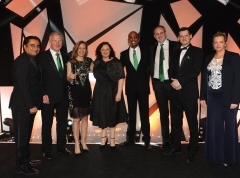 Chris Randall, chief executive, at winners Mayo Wynne Baxter said: "We are very excited to have won this award. The recognition is not just for Mayo Wynne Baxter, it is really for our 200 staff who engage with the many community and charity projects that we are involved with in Sussex. This is a perfect award for us to have won. "We take our corporate social responsibility seriously and take time to understand our firm's impact on the wider world, considering how we can make this impact as positive as possible. Matt Saunders, MD of Storm Creative said "Open and refreshing approach to customer delight, truly embedding themselves with their clients to ensure they can exceed customer expectations. Excellent internal communication of all feedback received throughout the team." 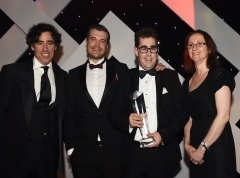 Christopher Wilsher of Thomas Eggar said "We are thrilled to have won the Customer Delight category for a second time. 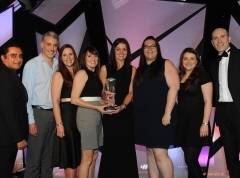 Our clients are at the heart of what we do and this award highlights our commitment to them. "We strive to exceed our clients' expectations and develop strong and long-lasting relationships by adapting and enhancing the way we work based on their feedback. We will continue to collaborate with both clients and our people to ensure our clients enjoy the very best in client service." Sarah Wright, Principal of Central Sussex College said: "International Logistics Group (ILG) has developed a structured and well-evaluated approach to staff learning and development which is clearly linked to organisational objectives and is widely understood and engaged with across the workforce. Branding of the programme - Drive - is creative and works well to communicate the incremental steps each staff member needs to take in their training to support key clients of the business and achieve personal, team and organisational objectives. Training needs and outcomes are easily reviewed and assessed through an online matrix which also records service errors and links these directly back to future training needs. A 29% increase in profits whilst achieving a 6% reduction in staff costs is testament to the success of the Drive programme and the company's commitment to growing its own workforce through training." Mike Stephenson, MD of ILG said: "ILG has always had a strong track record of providing first class service to our customers and as we grow the business we can only maintain those levels of service through a highly motivated, committed and trained workforce. 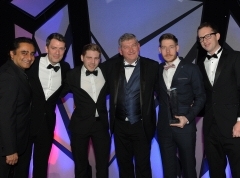 "I am very proud to win this award on the back of the award for Employer of the Year in 2013 as both recognise that ILG is a great place to work and develop a career. We can now rightly consider ourselves to be one of the best employers, as well as one of the best service providers, in the Gatwick Diamond." 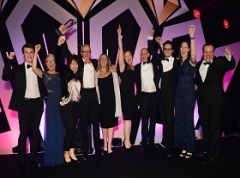 Tim Sadka, Partner & Head of the Corporate Team at Rawlison Butler LLP said: "This is a hotly contested award – businesses ranged from early stage technologies to established businesses. Our winner has demonstrated a commitment to significant annual research and development, culminating in the recent launch of new compact and full size products, taking their offering in a highly competitive business sector to a new level. All this achieved at a time when the business was also investing, in new state of the art manufacturing plant to ensure delivery of a world class production facility, tailored around the innovation which clearly is at the heart of its business. Our winner's investment in innovation and technology is reflected by its standing as world leader in its field." Receiving the award, Clive Offley of Johnston Sweepers said, "We are absolutely delighted to win this award for Innovation and Technology, the spirit of the award encapsulating everything we do at Johnston Sweepers to produce the most advanced and highest performing sweepers for our customers throughout the world. 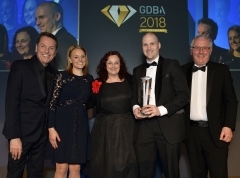 "This is truly a team effort from everyone at Johnston Sweepers, and we thank Gatwick Diamond for selecting us to win this highly prestigious award." Helen Kirk-Brown, Regional Director of Hays said: "Elekta produced a very strong case-study in supplier engagement. The opportunity for suppliers' teams to visit the Elekta facilities and gain a true understanding of their value within not only the supply chain but how they impact upon peoples' lives. The power of this engagement was evidenced in a number of ways - the quality of collaborative supply and the pride demonstrated by suppliers. With a high dependence upon the quality of supply, Elekta's engagement was not just with the supplying company but the individuals involved. This has been instrumental in ensuring mutual commitment. 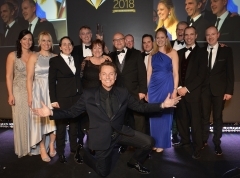 Elekta have, also, demonstrated considerable commitment to local businesses within their supply chain supported by their innovative new programme of collaborative working." 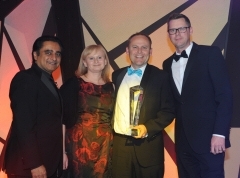 "The Supply Chain Excellence award is another wonderful recognition of all our efforts here in Crawley," says Bill Yaeger, Executive Vice President Elekta Oncology. "Everyone at Elekta is acutely aware of how important our supply base is to us. 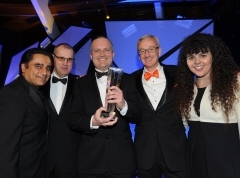 This award is for everyone who comes together to make Elekta such a dominant force in the global radiotherapy market. "Although it is an international company, Elekta is proud to support the local economy, securing 235 local manufacturing jobs within 60 miles of its site in Crawley, while significantly growing its own workforce." Hugh Aitken, Commercial Director of easyJet said "From the moment you click on the website, it makes you want to go and visit. Very Friendly, knowledgeable & informative staff. Great value for money." IanHeath, GM of Alexander House Hotel & Utopia Spa, said "We are hugely proud and excited to have won 'The Award for the Place to Meet for Business' and are incredibly proud of the team, it is the little things that make a difference to our guests and it's wonderful that our hard work and passion has been recognised by Gatwick Diamond"
Winner: Denbies Wine Estate Ltd. Winner: Rob Pierre, Jellyfish Group Ltd. Winner: Juno Wealth Management Ltd.